Thanksgiving is one of the best holidays when it comes to food, but what good is it without a perfectly cooked turkey? You might as well not even celebrate if you can't get the bird right. The secret to a great turkey recipe is a brine. While it might take some time, it's more than worth it once you take your first bite of that fabulous fowl. How do you do it, though? Brining a turkey is much simpler than it sounds. Let's go over a simple but effective smoked turkey brine recipe that's sure to jazz up your next Thanksgiving, Christmas, or other celebration. 1 cinnamon stick, broken into pieces. 4 oz fresh ginger, sliced thin. Large plastic bucket (5 gallon minimum). Long spoon or other stirring implement. As far as choosing the wood for this smoke, it would likely be a good idea to stick with sweeter flavors like apple or peach as opposed to heavy hickory or mesquite. Poultry can't stand up to those richly flavored woods as well as red meat, so you risk overpowering the meat and turning it bitter if it's not heavily balanced in favor of the lighter woods. With all your supplies gathered, you can begin work on the recipe itself. 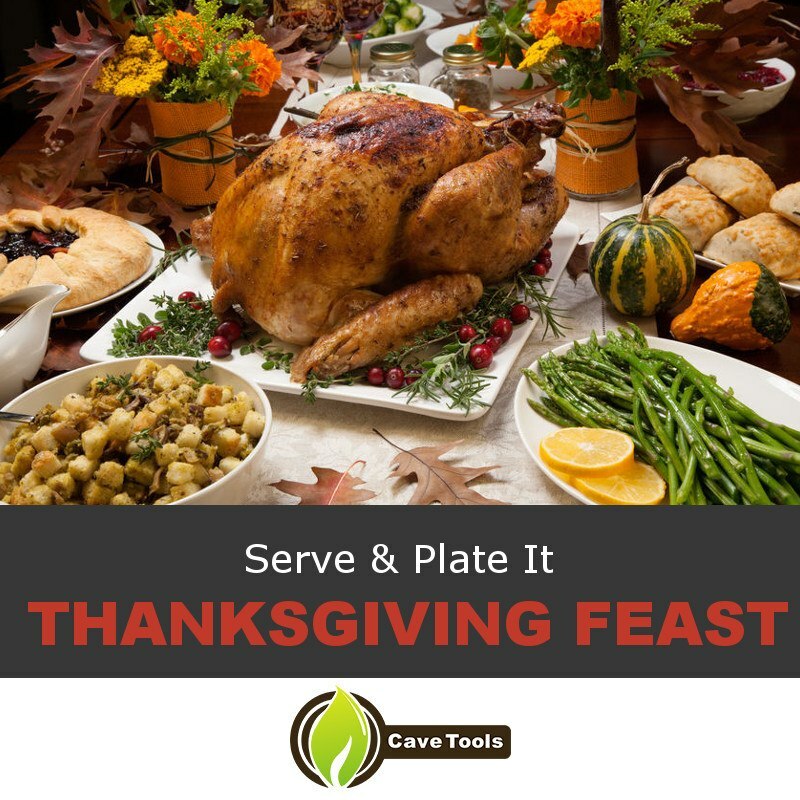 For best results, make sure to start cooking at least two days out from when you plan to eat, since trying to do all of this the day of your turkey dinner will only end in disaster. ​For this turkey brine recipe, combine your liquid ingredients, salt, and sugar together in a large plastic container and stir well until everything is dissolved and well-combined. For easier mixing, boil the liquids ahead of time and dissolve in the salt and sugar while still hot with an extra tablespoon or so of water to account for evaporation. Squeeze each quarter of your orange into the brine before adding the remains as well as the rest of the ingredients, stirring together and submerging the turkey fully into the ​good amount of brine​. If you boiled the brine earlier, it must be completely cooled by the time you do this to avoid boiling parts of the meat. ​Place the ​brining bag in a cool place and allow it to sit overnight and up to a full day. Once brined, remove the turkey from the liquid and place on a wire rack, discarding remaining brine. Pat the turkey dry both inside and out with paper towels before transferring the rack into a roasting tray and placing it in the refrigerator. Allow the outside of the meat to dry out like this for an additional day to maximize flavor. An hour before you're ready to cook, take the turkey out of the fridge to warm up. Blot the outside of the meat with paper towels to dry it and dry the rack and tray it was stored in to remove any excess condensation that may have dripped into them. Rub the outside of the turkey with olive oil and sprinkle with an extra tablespoon or two of salt if desired, since we brined the meat, you don't have to use any additional turkey rub. As the turkey warms, fill your smoker halfway with charcoal and light it, closing the lid to let heat build up inside. If using a thermometer, try to reach a temperature of around 250 degrees F​. After the coals have burnt down and a consistent temperature is reached, fill with more coals and add your wood, placing the grill grate on top and closing the lid. Fill your water tank, as well. Once around half an hour has passed and ample smoke has built up inside the smoker, you can place on your turkey. Cook your turkey inside the rack and tray setup that you dried it on, as this helps the meat cook evenly on all sides and catches the juices as they fall for making gravy later on. Your turkey will need to smoke for around 30 minutes for each pound of meat or until ​the internal temperature in the thickest part of the breast reads 160 degrees Fahrenheit. During the cooking process, make sure to monitor the levels of charcoal, wood, and water, adding more as needed. Additionally, adjust the air vents on your smoker to keep the heat inside consistent. If the top looks to be getting too cooked, you can tent it with aluminum foil for the duration of the cook. When your turkey has finished cooking, remove tray from the heat and transfer the turkey to a serving platter. Allow the meat to rest for at least an hour if not several more tented with aluminum foil. This lets the protein relax, making the finished product juicier and more tender. While you wait, use the collected juices at the bottom of the roasting tray to make some gravy. When your turkey has had a chance to rest properly, it's time to eat. Carve and plate it next to some seasonal vegetables, macaroni and cheese, and mashed potatoes for the ultimate Thanksgiving feast. Don't forget the gravy, either. 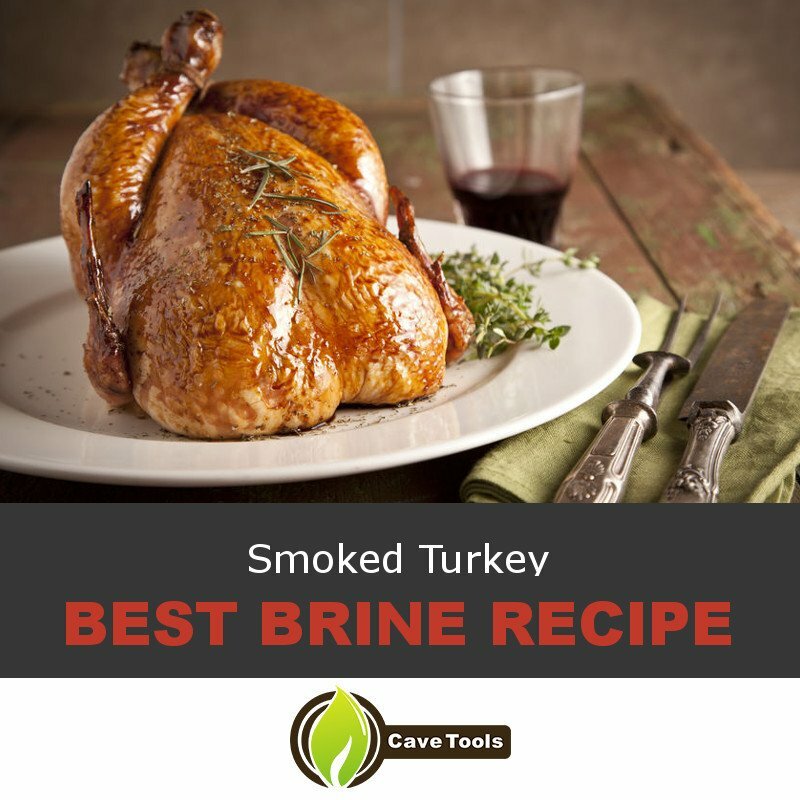 ​Now you know exactly what you need to do to make the best turkey, brined and smoked, for your next Thanksgiving turkey, holiday celebration or even Christmas. While it may be a bit time intensive, it's more than worth it once you pop a piece of the succulent meat into your mouth. Did you enjoy this guide? Any tips on turkey brining ​you'd like to share? Leave a comment about it and tell us what you thought, and remember to share this recipe with a friend to help them take their turkey game to the next level. Is Brining a Turkey Worth It? Brining a turkey may take a few extra steps and ingredients, as well as some added time. But, that being said, it’s totally worth it! By soaking your turkey in a salt-based solution, you’ll infuse a serious amount of flavor into the meat. Not only that, but the turkey will taste juicier, even if you accidentally overcook it. How Long do You Need to Brine a Turkey? 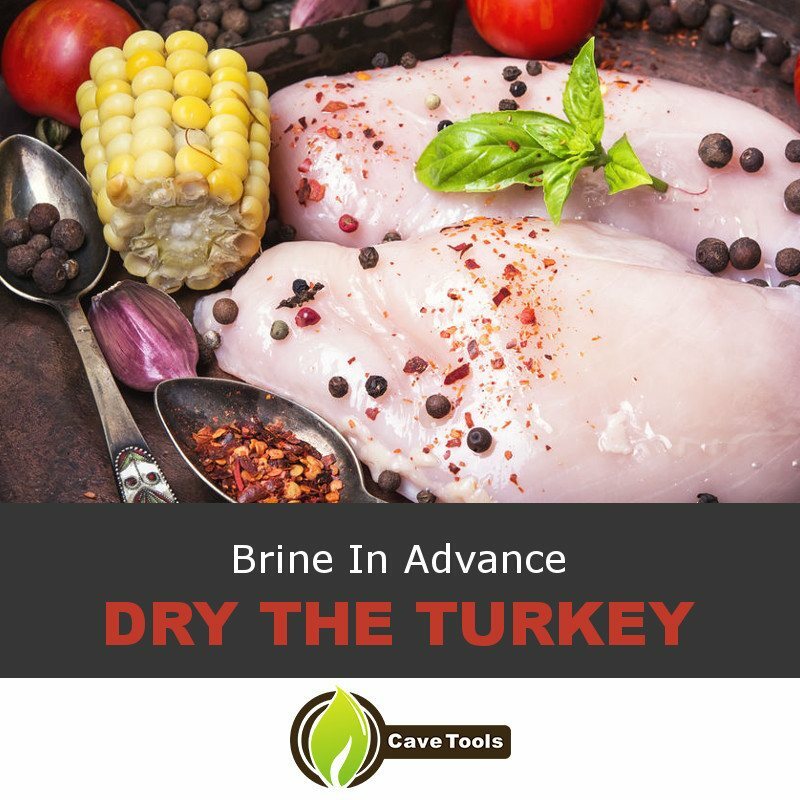 If you’re dry-brining your turkey (meaning, using a salt solution that’s not diluted by water), you’ll need anywhere from 12 hours to 3 days to brine your turkey, depending on how salty you like your meat. For a wet brine (which uses water or another flavorful liquid to dilute the salt and spices), you only need to brine your turkey overnight. Can You Brine Too Long? It’s possible to over-brine your meat. Turkeys that sit on the brine for too much time can taste salty. If you accidentally brined your turkey for too long, you can soak it in fresh water for 24 hours to pull out some of the excess salt. This will also pull out some of the turkey’s natural flavor, so it’s best to avoid over-brining. How Much Salt do I Use to Brine a Turkey? The amount of salt to use is generally based on the weight of the turkey. In general, it’s recommended to use about a three tablespoons of salt for every gallon of water. For smaller turkeys, you should only need 2 gallons of water (or, about 1 ½ cups of salt). For larger turkeys, you may need 3 gallons of water (or, 2 ¼ cups of salt). Do You Have to Brine a Turkey Before Cooking It? If you’re cooking a turkey the traditional way (inside in the oven), you don’t have to brine it, although it will probably be more flavorful if you do. On the other hand, if you’re smoking your turkey, we definitely recommend brining first. This helps denature some of the proteins inside the turkey, making it safe to cook low-and-slow on the smoker.